Go for holidays to Philippines and experience an amazing time in the beautiful beach of La Union. This destination is perfect for anyone who wants a relaxing vacation under the sun. This is an ideal place both for families and couples looking for a break from the stress brought by the hustle and bustle of the life in the city. One of the most exciting things to try here is kitesurfing. You will surely enjoy kitesurfing as this is a very exciting activity. La Union, was known as the surfing capital of the northern Philippines. This coastal province has a series of beach breaks for beginners and occasional challenging point breaks for skilled surfers. It is the closest spot from Manila, just a few hours drive and has a pleasant atmosphere even for beach combing. Surfs in La Union have a standard line up of 100m from shore. Waves start at 1-m and can swell up to 4-6ft. 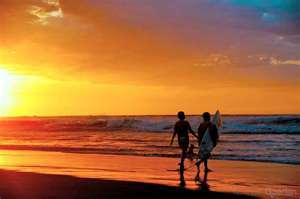 La Union is 6 hours drive from Manila and one of the best choices for you. The friendly surfing communities in these parts are some of the most chilled and relaxed weekend sports getaways in this part of Luzon Island. If you are planning to go surfing, the North Swell usually starts around October until March while the South Swell arrives around late May to June until August. To catch better waves, check out the Philippine weather forecast by Philippine Atmospheric, Geophysical and Astronomical Services Administration (PAGASA). For seasoned surfers, best time to ride the waves is when there are typhoons around the area. For other sites in La Union, it is best enjoyed during the dry season. 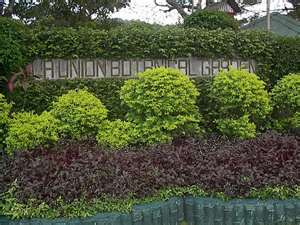 Aside from surfing, La Union is also known for its Botanical Gardens in San Fernando City which showcases different pavilions in its sprawling ten-hectare facility -a Fernery, Palmery, Fragrance Garden, Sunken Garden, Evergreen Garden, Arid Paradise, and a Shade Garden – with flora and fauna that are indigenous only to the Philippines. This offers a welcome respite from the humid and sometimes searing hot weather of the province. If you are not coming with a tour group, Partas buses are the most reliable forms of transport to La Union (and it passes through San Juan) from Manila. Other buses that operate in the area from Manila are Dominion Bus Lines, Farinas, Maria de Leon, Philippine Rabbit and Viron, which leaves Manila terminals every hour. Pick the buses that go to either Narvacan, Laoag, Abra, or La Union. It will take about 5-6 hours travel from Manila (San Fernando is 273 kilometers north) but will only take an hour if you are coming from Baguio City. Jeepneys, tricycles, mini-buses, and rent-a-vans are the mode of transport within the province. If you are taking your own car and you are coming from Manila, take the North Luzon Expressway (NLEX) and then connect through the Subic-Clark-Tarlac Expressway (SCTEX), exit at Hacienda Luisita in Tarlac and follow the National Highway through Pangasinan and then La Union. You can get a more detailed map of Northern Luzon (La Union included) at one of the bookstores.